We’re headed home to the heartland of America in Nashville TN, for Revive 2019! This year we will be kicking off Revive with a family-focused 4th of July celebration in the beautifully quaint downtown square of Franklin TN, just outside of bustling Nashville! 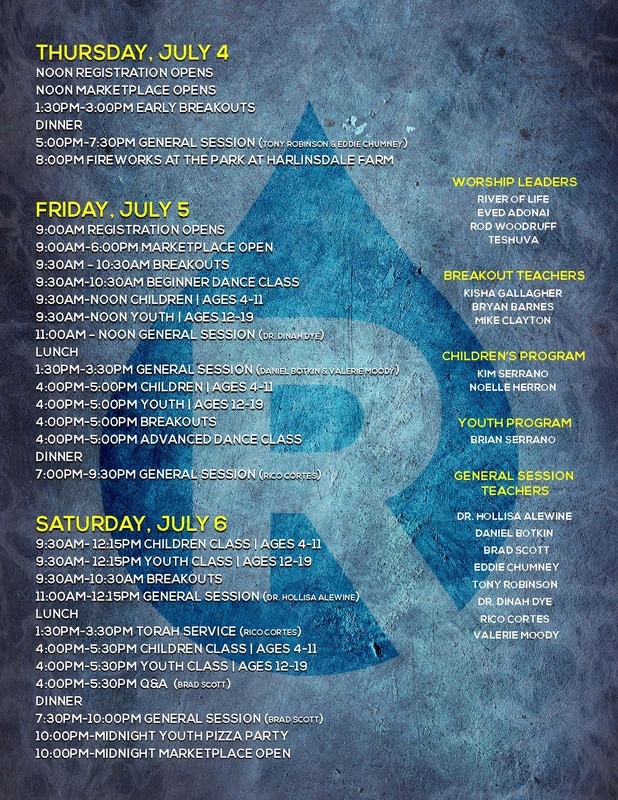 Mark your calendars for July 4-6 to enjoy fellowship, fun, worship and learning with your favorite teachers and some new faces!Revive is the largest annual Messianic conference. We’re so excited to be able to play a part in the future of the Hebraic movement and we hope you’ll join us! !